What Is Better, Gel Or Acrylic Nails? How Easy To Apply False Nails? What Is The Easiest Way To Get Fake Nails Off? What Are Fake Nails Called? The beauty industry is rapidly changing these days, and it may be difficult to deal with all the trends on your own. That is why you have us on your side, and today we are going to talk about fake nails and all the things to know about them. The thing is that with the fast-changing manicure trends it may be not that easy to differentiate between fake and natural nails. For example, not everyone knows that gel and acrylic nails are actually considered to be fake and not always you are aware of all the downsides when trying this nail application method. 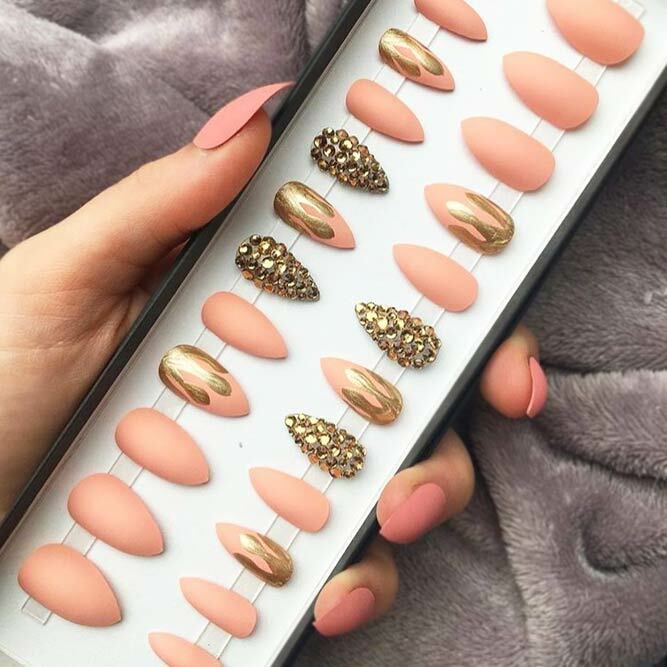 That is why we will have a closer look at everything that comes with artificial nails so that you will never be caught by surprise when it comes to unnatural nails application. 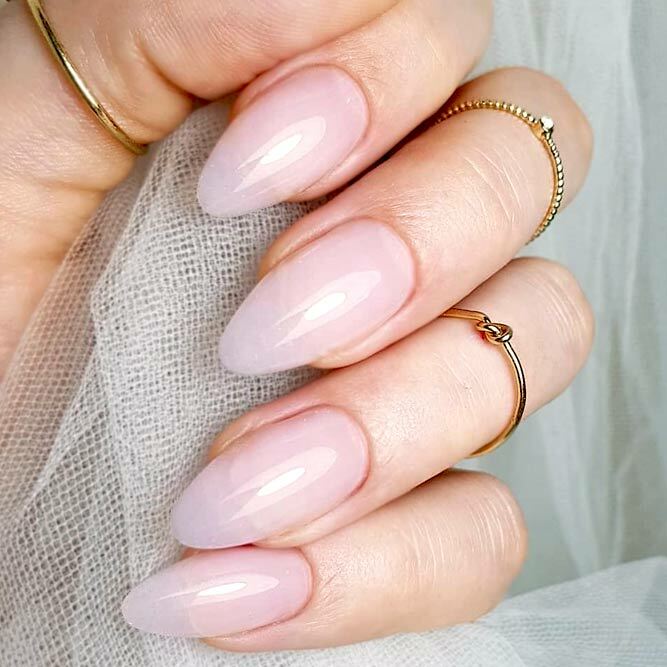 One last thing, fake nails are not called that way just because they are bound to come off on their own; your natural nails extensions count as well. We will dwell on the issue later on. 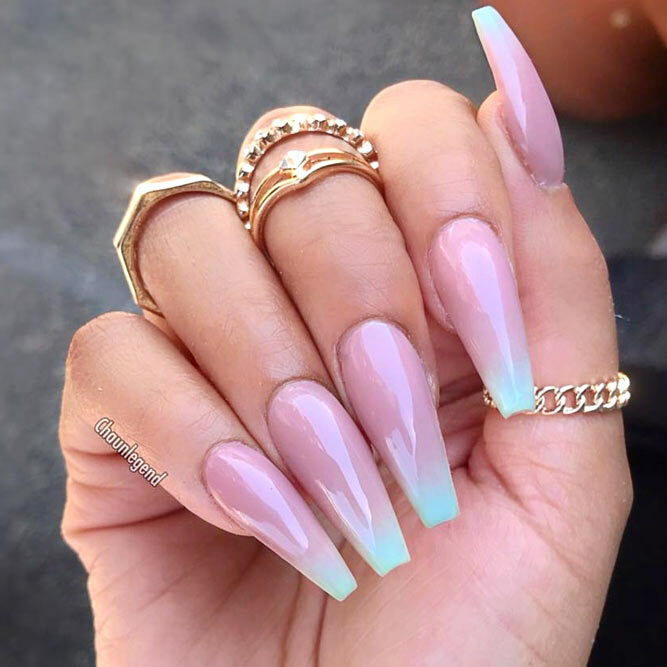 Acrylic nails are on the edge of popularity for a while now. The thing is that this nails application method is relatively easy and what is most important – it is durable. 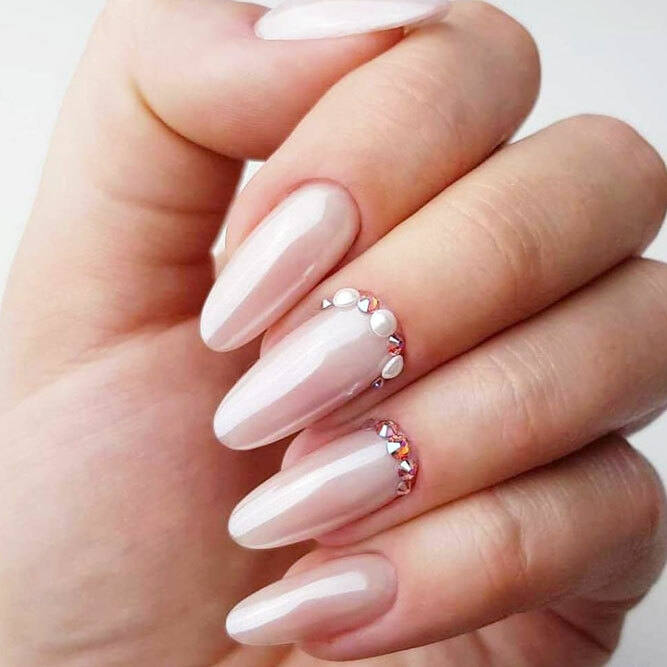 That is why if you are looking for something to strengthen your natural nails and to look gorgeous – acrylic nails are what you needed. Now, let’s have a look at the process. The truth is that all you need for the creation of an acrylic masterpiece are two substances – polymer and monomer, when combined together they harden up as exposed to air and your perfect artificial nails are created. All you need to do next is to adorn the nails with intricate nail art designs. You can pull this method off on your own in the safety of your own home. However, it takes some skills and effort to succeed that is why you are if you are uncertain about the outcome you should better hit the salon and get it done flawlessly for you. Gel nails are another most requested type of artificial nails these days. But unlike with acrylic ones you do not need to mix anything all you need just special gel nail polish and UV lamp. The thing is that gel nails won’t dry out on their own, the formula needs to be hardened up with the help of UV lamp. Another downside of getting gel nails is that you can be allergic to some of the material, that is why it is important that you get your nails done by the trusted professional or you get your belongingі from a trusting company. Very often, the issues arise when it comes to choosing either one type of artificial nails – acrylic or gel? To tell you the truth until the job is done professionally it does not matter much which type you opt specifically for. However, there is a number of differences that need to be mentioned, and we are going to list them right below. What Are The Pros And Cons Of Having Fake Nails? • Acrylic nails look like what they are – artificial, while gel nails are more natural-looking. • Even though the two processes are totally different usual the price is the same for either acrylic or gel nails. The only difference lies in the amount of time they will last you. Usually, acrylic nails are the ones that can be worn a lot longer while gel nails need to be changed every two weeks or so. • There is a chance that fungus can breed under your fake nails acrylic that is why you need to be precisely picky when choosing a place to have them done for you. With gel nails, the only disadvantage that comes would be dry nail beds, which you can easily solve with the application of essential oil to the area. • Acrylic nails are inflexible while gel nails are close to natural nails but a little bit more enduring. That is why if you like to poke at things with your fingernails a lot of acrylic nails will suit you best. 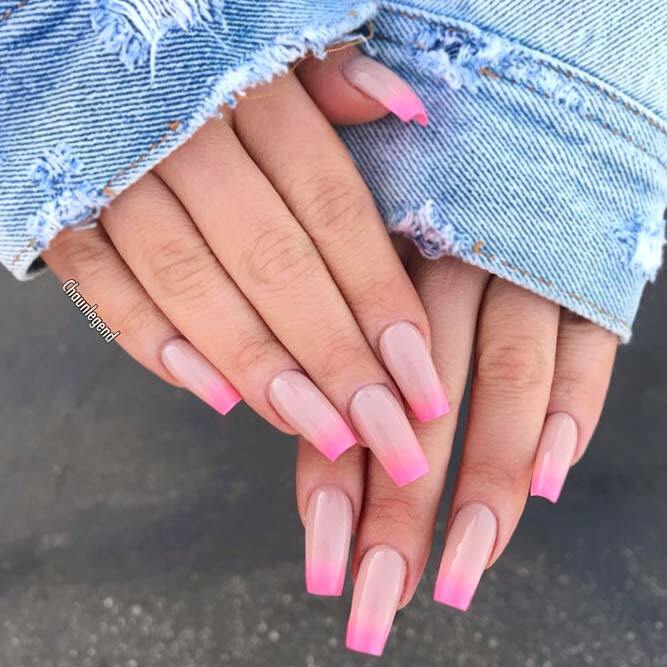 • Acrylic nails application comes with some chemical fumes and strong odor that is why if you are pregnant you should better not try this technique out, while gel application is a lot safer at that point. • The truth is that you can easily fix acrylic nails on your own with the help of mere glue, fixing a gel nail would be a lot more difficult. 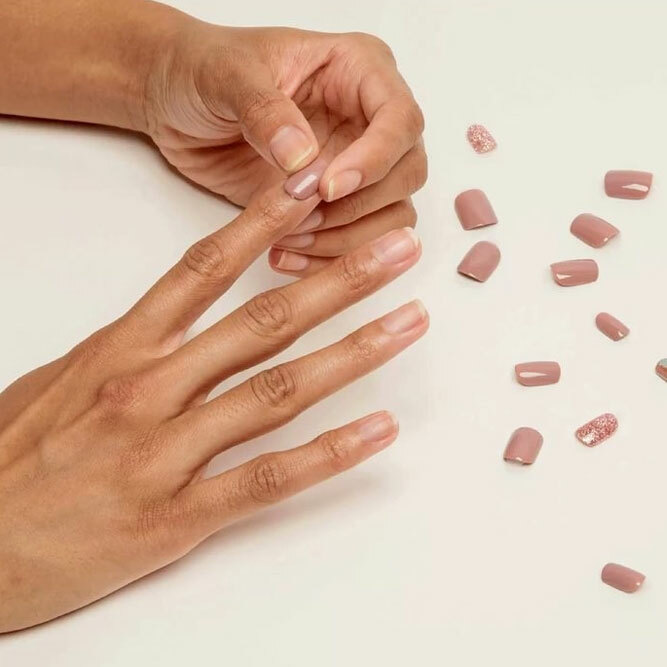 • Removing acrylic nails is pretty easy, all you need is to soak them off while with gel nails you need some filing first in order to remove them, however soaking off works as well. • Acrylic nails are cured by air while for gel nails you are going to need a UV lamp. 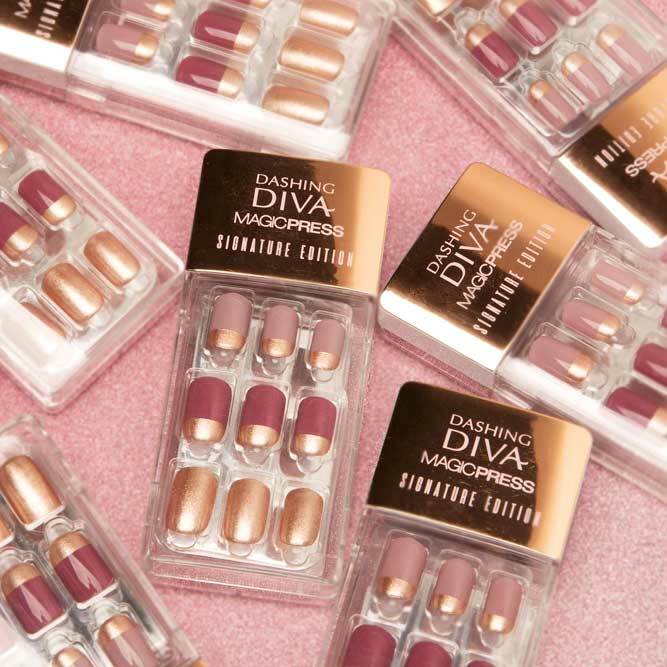 False nails are not only acrylic or gel nails, but they also come in ready-made sets which you can easily apply on your own with the help of glue. They say that if you are just the beginner at fake nails application, you should better start with false nails placed on glue. Once you master the technique, you can proceed on to acrylic or gen nail application. The trick about artificial nails placed on glue is that they are super easy to manage with not to mention that you do not need a lot of time to spend on the process and they come in great versatility so that you can choose those nails designs that come to your liking. However, it is not advised to wear them on a regular basis, one night out is fine but not longer than that since it may lead to fungus breeding and spreading which can damage your natural nails. Start off with washing your hand but make sure your hands are all dried out before you move on with the procedure. Get rid of all the excess nail polish if any and wipe your nails with acetone-free nail polish remover. Arrange the false nails in proper order. Clip off your natural nails so that they do not interfere with fake ones. Buff your natural nails so that there is a better grip between your nails and artificial ones. Push your cuticles back a little. Place some glue on both natural and false nail but make sure you do not take it over the edge, a tiny drop will be enough. Press the fake nail onto your real one. Hold it for at least 10 seconds so that there is no air underneath. Take care of all the messes if any around your cuticles. That is it! A simple as that! There are three main ways how you can remove fake nails at home, and we are going to discuss all of them right not. To begin with, you are going to need to clip the false nails off. Use a filer to file off the top coat. Place a little bit of petroleum gel to secure your cuticles. Bad your fingers into a bowl filled with acetone. Keep your fingers in the solution for about 20 minutes. Buff off all the excess glue on your nails. You are going to need someone to help you with this method since just a pair of hands is not enough. Pry a false nail off with the help of an orange stick. Place the dental floss right under the artificial nail. Start moving forwards until the false nail falls off. Use a buffer to get rid of all the excess glue on your nails. Use a moisturizer to secure the cuticle. Clip your false nails off as short as you can. File off the top coat. Place a cotton ball soaked in acetone over your nails and wrap them with aluminum foil. Unwrap your fingers and get rid of remaining nails. Buff off the remaining glue or nail polish.